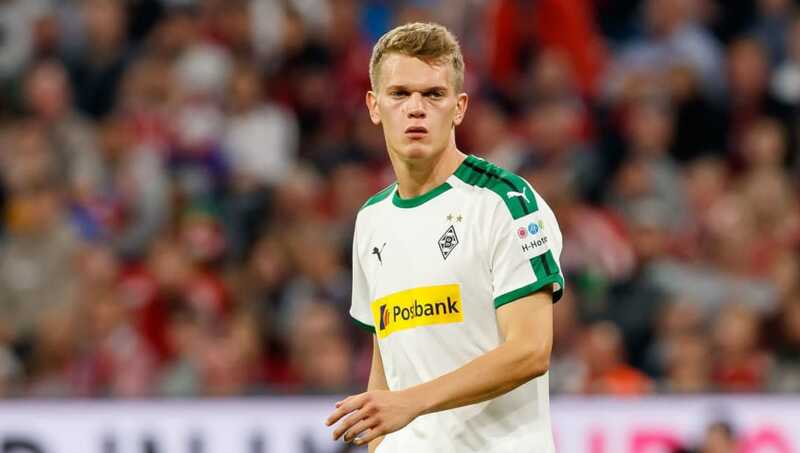 ​North London rivals Arsenal and Tottenham are both monitoring Borussia Monchengladbach centre back Matthias Ginter, possibly setting up a summer scrap for the German defender. Tottenham were linked with Ginter before he joined Gladbach from Borussia Dortmund in 2017, with Mauricio Pochettino eventually opting for Davinson Sanchez instead. ​Spurs could be back in the market for a centre back this summer, with ​Toby Alderweireld's £25m release clause meaning that his departure remains a possibility. ​Sky Sports News reports that ​Arsenal will provide the competition on this occasion, with the Gunners still seeking defensive options after another leaky season. Unai Emery's side have leaked 36 goals this season, the most of any side in the top six, with long-term injuries to Rob Holding and Hector Bellerin not helping matters. With Laurent Koscielny and Sokratis Papastathopoulos both over the age of 30, Emery is hoping to freshen up his defence this summer, and Ginter offers the perfect blend of experience and youth. He is fast approaching 200 Bundesliga appearances, but at the age of 25 he has plenty of years left in him and would be a good investment for the future. Ginter's stock has risen significantly this season as Borussia Monchengladbach have emerged as shock title contenders, boasting the Bundesliga's most miserly defence. He has won 23 caps for Germany and became a World Cup winner in 2014, although he did not play a single minute at that tournament or the subsequent one in Russia last summer. Ginter was a member of the squad that won the Confederations Cup in 2017, playing four of Germany's five matches at the tournament including the final against Chile.